With all the talk about the presidential election, now is a great time to start talking to your kids about who the president is, what the president does, and how the president is chosen. Even the youngest children can start to form the basis for an understanding of leadership and the democratic process, on their own level. 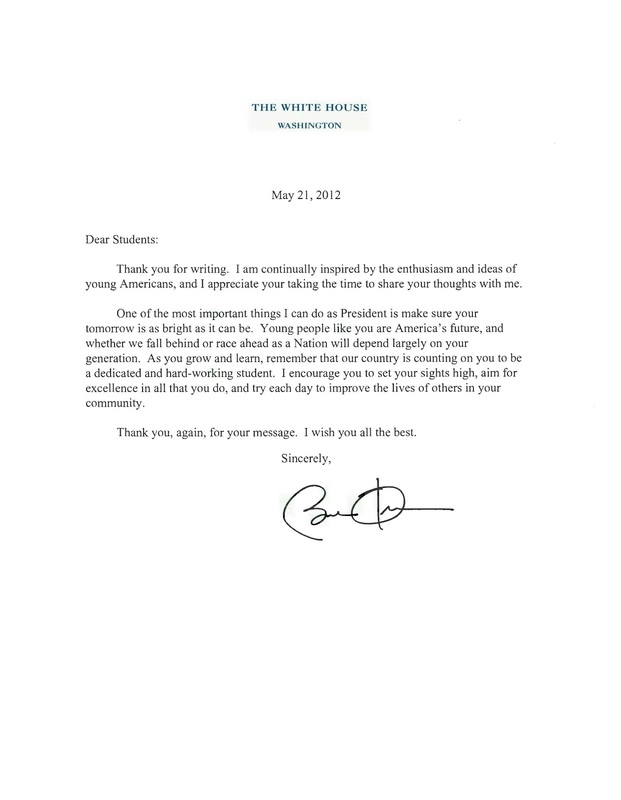 Last year, for president’s day, children and teachers from our Brighton school wrote a letter to President Obama. They waited patiently and were very excited to get a package in return. 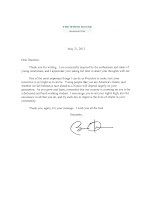 The envelope included a signed photograph, a letter, and some informational materials about the White House. Children practiced leadership by taking turns at “Follow the Leader”. There are many other ways to help your children understand the role of the president and the election. Try having children vote for something simple, perhaps which game to play that day. 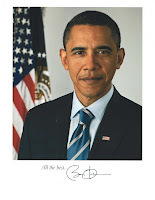 You can also read President Obama’s favorite children’s book: Where the Wild Things Are by Maurice Sendak. 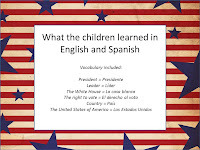 What did our toddlers and preschoolers learn about the presidency? The President is the leader (líder) of the United States of America (Los Estados Unidos). The current president (presidente) is Barack Obama. The president lives in the White House (la casa blanca). 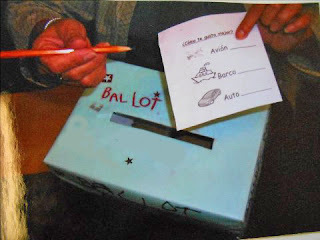 Citizens have the right to vote (el derecho al voto). That’s how we choose our president. 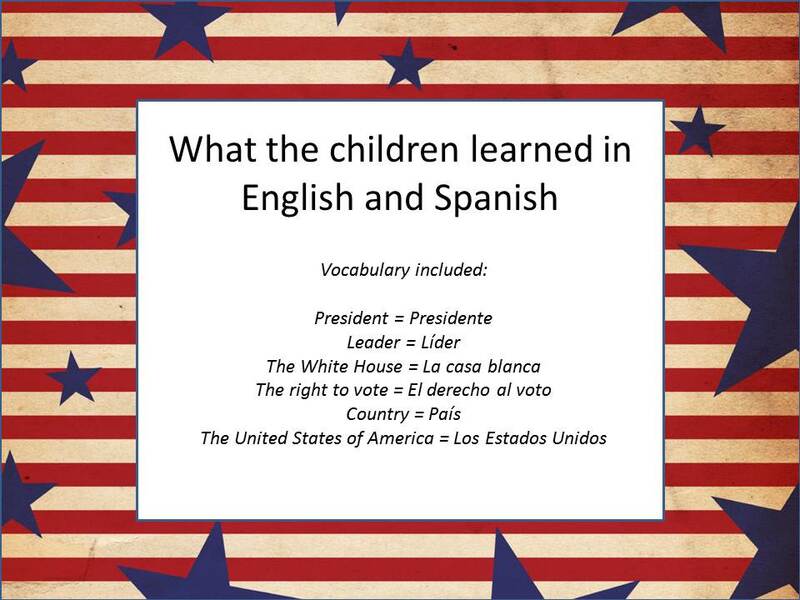 Check out some of these fun ideas to help your child learn more about the president and voting! Have your child or children practice voting. Here, students voted for their favorite mode of transportation. important leaders or candidates for office. painted this portrait of President Obama.